Lameness is the second most common cause for the culling of sows. 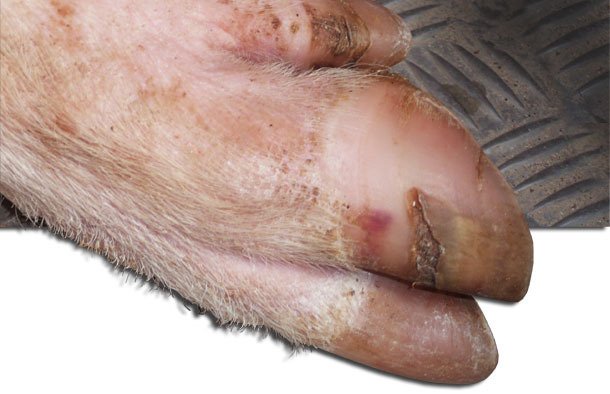 Sow lameness is one of the problems in swine production whose incidence has grown in the last years. When we analyse the causes for the culling of sows we see that the incidence of lameness is the second most common cause, and it will have a growing relevance as we adapt our farms to the animal welfare requirements as, for instance, the adaptation and the management of sows housed in groups. Since year 2008, the assessment of lameness in our swine farms has become another tool in our work. We have been able to see that these lameness outbreaks do not appear regularly during the year, but the farm has peaks of this pathology every 3-4 months. Up to now, when the sows had lameness problems we applied injectable treatments with anti-inflammatory drugs and antibiotics to the injured animal and we established routine medications in the food based on amoxicillin, lincomycin or tylosin. Normally, this kind of treatments work occasionally in a certain percentage of the animals, but the problem appears again after some months. Our experience in the field has proven to us that when we analyse the farms with lameness problems, we find, in all of them, a certain prevalence (higher or lower) of hoof injuries. From this evidence we suggest to carry out hoof assessments in those farms with an incidence of lameness problems. Choose 50 animals in the farrowing room, preferably sows that have farrowed not long ago (they are stiller and they spend more time lying down). Assess the hind limbs, because they are easier to reach. Total: 100 legs. Work with the lesions table (severity grade of the lesion and its location). Check the quality of the keratin (colour, texture, roughness, irregularities, etc). 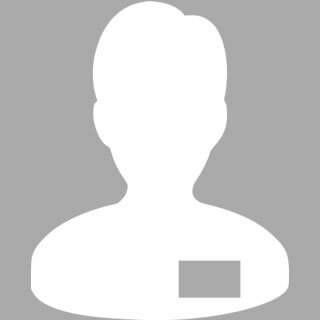 Assess the facilities (floor quality, dampness, slats, etc.). Apart from the hoof assessment and the condition of the facilities, it is also important to evaluate the production data, because on a farm that has had a high percentage of sows with lameness for a long time, this will probably be reflected somehow on its performance. From this first assessment we write a report for the client where we will specify the kind of lesions present and their percentage, and we will implement an action plan in which we will bear in mind all the previously analysed parameters. In many of the farms we will find a 30-40 % of the sows with grade 2 (moderate) or grade 3 (severe) hoof lesions. After the first assessment and watching at the grade of the hoof lesions and the percentage of lameness, we implement the use of chelates of amino acids hydrate that work at a systemic level in the sows, including the feed for the gilts, and during the gestation and lactation periods with the aim of improving the health and the quality of the hooves on these farms. We also administer injectable treatments to those animals with acute lesions and we improve the floors if necessary. After 6 months we carry out an assessment again. The reason for this period of time (6 months) is that the hooves grow some 5-7 mm per month, so after these 6 months the hoof will have regenerated almost completely. Another of the items that we also stress is the implementation on the farm, as a routine, of the sow hooves trimming. This handling technique is normally carried out in the farrowing quarters whilst the sow is laying down. On all the farms, after 5-6 months supplementing the feed with a combination of zinc, copper, and manganese, we clearly see a reduction in the hoof lesions severity degree and in the incidence of lameness. The first step when evaluating the incidence of lameness on a farm is carrying out a good assessment of the hoof lesions. Here, we must also include production parameters such as the fertility rate, the farrowing rate, the % of dead or euthanized sows, etc. On all the farms, 5-6 months after starting to use organic mineral chelates we will see a very important decrease of lameness and of hoof lesions. We will also see an improvement in the quality of the keratin, that will go from a dark brown colour to an ivory colour. In our field experience we are seeing that there is a great correlation between the improvement in the incidence of lameness and the improvement of the reproduction indices. If possible, our recommendation is to start the treatment during the growing and development period of the future sows, with the aim of preventing the joint osteochondrosis. On the farms in which we started to work with the chelates during the stage of the rearing of the sow replacements we were able to see a decrease in the % of sows that are culled before their 3rd farrowing. In some cases we have gone from 42.8 % to 23.3 %. We can never take only the "by eye" assessment of the lameness. We must analyse other parameters and evaluate if there is an improvement or not. That is why the production data is so important.